Bet you all thought Raven’s Singularity was just going to be “another” time-travelling shooter, didn’t you? Not so. The nuclearafied Cold War FPS allows you to control the age of objects, not the flow of time. VG247: The whole “time-control” mechanic is pretty well-worn now. How will Singularity freshen it up? Jon Zuk, Singularity creative director: Using the Time Manipulation Device or TMD, the player can control the age of objects but not time itself. Many objects can be manipulated and these changes in age are permanent in most cases. When an object is changed in time, it can shift between the current day state and a state as it existed some 60 years in the past, when an accident occurred on the island. The TMD is an amazing piece of equipment, developed far, far ahead of its time. It uses E-99 as a power source, enabling you to effectively change the time-state of different objects, and beings, on Katorga-12. You can use the TMD on objects like ammo crates, gas-filled barrels and electrical equipment, for starters. Aging and renewing things like chains or even concrete supports can let loose heavy or explosive objects to fall on unsuspecting enemies. The TMD also has a Time Stasis feature that allows you to grab items and sustain them in time. A practical and rewarding use of the Time Stasis is grabbing enemy grenades and throwing them back at them – the stasis field nullifies the grenade’s timer so it won’t explode while you’re holding it. 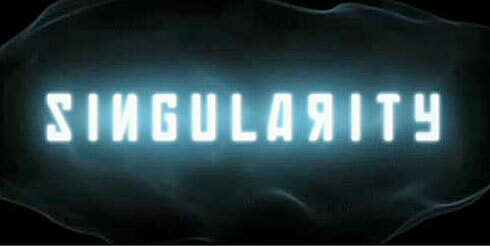 Singularity is set on a Soviet island after a nuclear experiment goes wrong. The game’s one of three new IPs Activision’s releasing this year, the other two being Radical’s Prototype and Bizarre racer Blur. Watch for more from E3.